The University of Liège and its Hospital are home to more than 3,500 researchers, scientists and technicians. Together, they have the resources to build the foundations of a revitalized economy based on creativity, innovation and entrepreneurship, through the creation of spin-offs, jobs and economic opportunities. The Interface Entreprises plays a part in this objective by carefully guiding the promising ideas of the University to the marketplace through the process of technology transfer. Furthermore, the Interface Entreprises is committed to delivering significant value to Society. This is achieved by connecting breakthrough public discoveries with the needs of the industries. It is about developing partnerships with the right companies that will enable research to be transformed into products that will benefit both people and the economy. The Interface Entreprises is the coordinator of wearIT4health. Microsys is a laboratory of the University of Liege belonging to the Montefiore Institute (Department of Electrical Engineering and Computer Science). 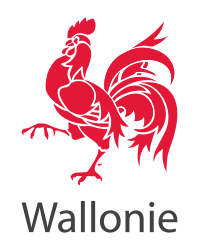 It was created in 2007 with the support of Walloon Government and European Regional Development Fund (ERDF). Microsys conducts inter-disciplinary research in several fields (micro-assembly, MEMS sensors, energy harvesting and design of ultra-low-power microsystems). Its main facility is a 200 m² clean room certified ISO 7 (Class 10,000) including equipment for production and characterization of microsystems. Its team consists of 16 skillful members. Microsys is the scientific lead partner of wearIT4health. 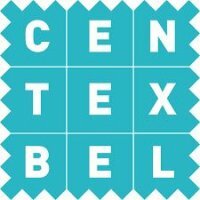 Centexbel is the competence center for textile and plastics in Belgium. Our team in Grâce-Hollogne (Liege) has a large experience in smart textiles, comfort and microbiology. Centexbel is also represented in Gent and in Kortijk with expertise in textile functionalization, plastic processing and extrusion. To support our members, 160 workers are active in research, testing and consultancy. CHU de Liège is a university hospital with more than 5000 employees, with more than 900 doctors providing specialized care in all medical disciplines. The capacity of the CHU of Liège is 895 beds, spread over 3 sites of hospitalization. 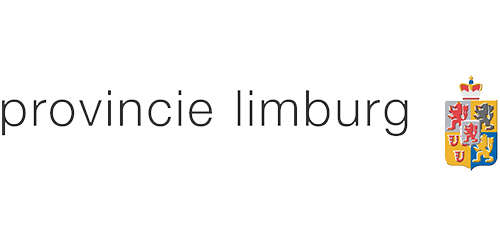 As for medical computerization, the level of the CHU in Liège is high. For wearIT4health project, it will contribute as a clinical partner in the definition of needs, the integration with its Computerized Patient File and the coordination of tests in situ. AzM stands for Academisch ziekenhuis Maastricht, or University Hospital Maastricht. Maastricht University and azM work together under the umbrella organization Maastricht UMC+, or Maastricht University Medical Center+. Our mission is: to provide the best possible care and improve the health in the region through the integration of patient care, research, and education. The focus is on prevention and integrated care and on cooperation within the chain and in the region. In addition, we realize that creating value from knowledge is becoming increasingly important. To strengthen and accelerate the development of excellent care and research we have defined three innovation themes: Metabolism and nutrition, Health Care Innovation, and Operational excellence. With respect to the wearIT4health project, we are highly interested in the development of continuous monitoring technology, in order to improve patient care and patient outcomes. The Maastricht University, more specifically, the Faculty of Health, Medicine and Life Sciences (FHML), together with the University Hospital of Maastricht comprises the Maastricht University Medical Center (MUMC+). The engineering department IDEE at the FHML develops innovative technical solutions for unique medical research and care in a very broad field of applications together with medical researchers and doctors at the MUMC+. Because of the great demand and possible applications for wearable healthcare systems one of the focus areas of IDEE is the development of modular wearable measurement solutions (body sensor networks, ICT infrastructures, self-management apps, remote feedback systems), For this IDEE uses new technologies in the field of sensors, miniaturization, power consumption, textile integration, ease of use, algorithms and data science. Together with the technological partners in the project IDEE will work on the technical solution required by the involved hospitals. As coordinator of WP4 a strong focus will be on the sensor development. The eMedia Research Lab (www.kuleuven.be/emedia), develops and implements novel techniques to enhance the human condition with embodied media. Our systems contain sensors that capture input from a human user or information from the environment, algorithms that analyse these data, and intelligent systems with actuators that generate meaningful output. Central to our research questions is how humans will perceive this output, and how they respond to it. Often we implement fully interactive systems that are fun and engaging, and at the same time serve a serious purpose. Applications are found in the domain of health care, learning and entertainment. Advanced Integrated Sensing lab (ADVISE - www.kuleuven.be/advise) is a research group from the Faculty of Engineering Technology of KU Leuven at Technology Campus Geel and is associated with the department of electrical engineering (ESAT) and computer science. ADVISE unites a broad experience in both hardware (design and testing of both PCB and integrated circuit implementations) and software (real-time processing and analysis of large multimodal datasets). Advise brings in its expertise on the development of statistical learning algorithms to exploit multivariate signals acquired from complex bio- and industrial systems. It has in the past developed data-driven software tools to support decision making in classification tasks, process control, outlier detection and sampling design. 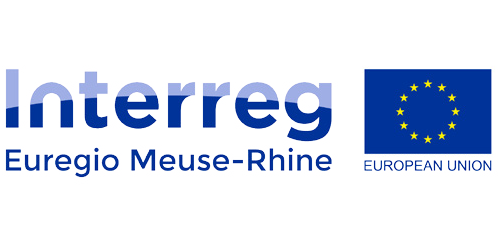 M3-BIORES (https://www.biw.kuleuven.be/biosyst/a2h/m3-biores) is a research group that is associated with the Department of Biosystems of the Faculty of Bioscience Engineering. The main focus of the research is to integrate dynamic responses of living organisms in the monitoring and control of biological processes. The objective is to develop methods that allow extracting health related features from continuously on-line measured biological responses of living organisms to their varying individual micro-environment using real-time time-varying data-based modelling approaches. M3-BIORES has been developing this approach during the last 20 years for many applications, including, but not limited to, sleep monitoring, fitness monitoring, infection monitoring, stress monitoring, thermal comfort monitoring, depression. ES&S (www.kuleuven.be/ess) is a research group of KU Leuven, situated at the Technology Campus Diepenbeek. ES&S belongs to the Technology Cluster of the Electrical Engineering Department (ESAT). The research of ES&S concentrates on the development of embedded systems with a focus on the secure storage and communication of digital data. Examples of research topics are reconfigurable security systems and embedded security in constrained environments. IMO is the Institute for Materials Research of Hasselt University, located at the university campus in Diepenbeek (Province of Limburg, Belgium). The core competence of IMO is the development and characterization of new material systems with potential use in microelectronics, bioelectronics and nanotechnology. In the core competence field, fundamental as well as applied research programs are carried out. 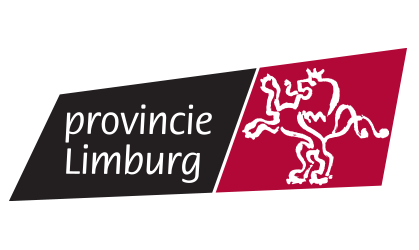 There is a very close collaboration with IMEC (Interuniversity Microelectronics Centre, Louvain) which local division IMOMEC is housed within the premises of IMO. The largest part of the fundamental research in the core competence field is performed by IMO, while the majority of the applied research programs in collaboration with industrial partners is performed by IMOMEC. The Mobile Health Unit is a center of expertise in Mobile Healthcare, embedded in a structured collaboration between Hasselt University, Jessa hospital and Hospital East-Limburg since 2012. We combine “academic knowledge” with “clinical expertise” to accelerate mHealth research, innovation and business support, to improve health and wellbeing of all citizens. MHU will support the mobile healthcare cycle from idea to product development and validation. MHU stands out because of easy access to a clinical living lab (i.e. regional hospitals) and clinical and scientific supervision for product testing and fine-tuning. The aim of MHU is to ameliorate the current healthcare system using and supporting advanced mobile health applications.